Looking for a SCARE to ring in Halloween? 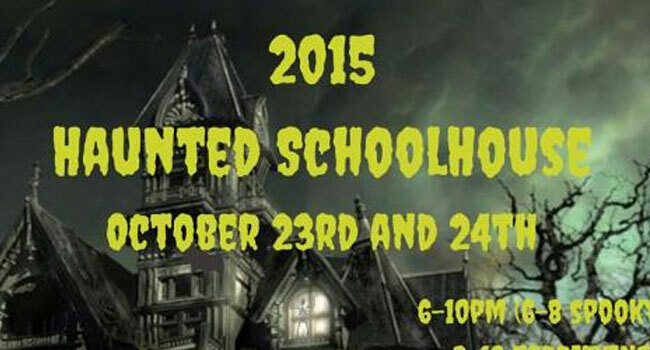 Terrify yourself at the Haunted Schoolhouse! What happens to the students and teachers when an old high school shuts down? They stay there, of course, and haunt the victims who dare to enter! Sponsored by the Shell Lake Chamber of Commerce, Shell Lake Education Foundation and Shell Lake Arts Center, the Haunted Schoolhouse features a haunted school forest, butcher block, and classrooms that will terrify you! Special entry decorations provided by the famed Shell Lake State Bank ladies! 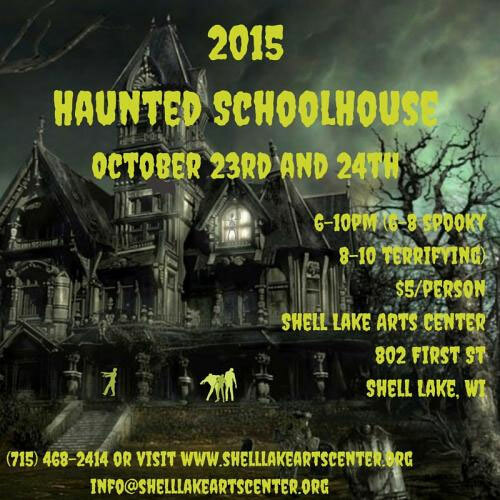 The Haunted Schoolhouse will be open the weekend of October 23 & 24 at the Shell Lake Arts Center, 802 First Street, Shell Lake, WI. Times are from 6-10pm, with 6-8 less scary and 8-10 TERRIFYING for braver attendees! Cost for one trip through the Haunted Schoolhouse is $5 per head—or headless—visitor. Any questions may be directed to the Shell Lake Arts Center at 715-468-2414. 6pm-10pm with 6-8 less scary, and 8-10 terrifying for the braver souls! How was your experience at the Haunted Schoolhouse?